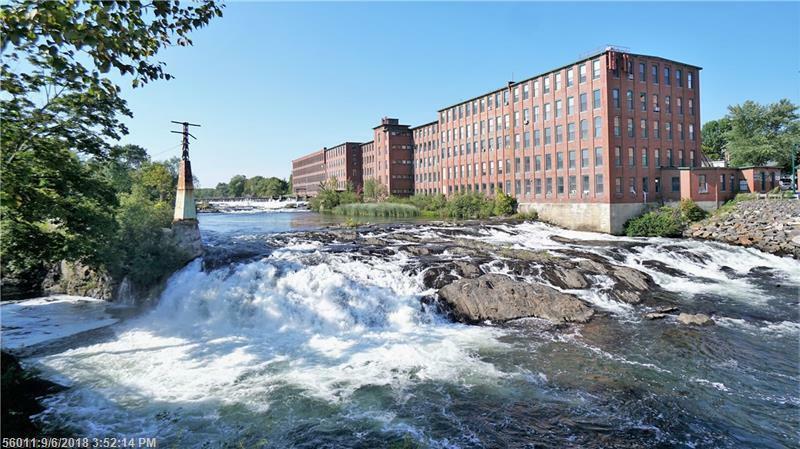 Great opportunity to live in the historic Mill condos at Riverfront Loft Condo Association. Bright and sunny, open concept layout with modern updates and original hardwood flooring. Features include a first floor bedroom, bathroom with gleaming white marble flooring /built in storage for linens, exposed brick walls, high ceilings, secure storage unit, ample parking, in unit laundry with stackable washer and dryer, wi-fi and low heating costs. Custom built closet in Master bedroom, custom built storage in first floor bedroom and utility room. New microwave in 2017. Pets are welcome! Within walking distance to shopping and dining in the revitalized heart of Westbrook. Don't miss this one! Easy to show.